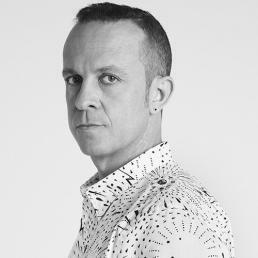 David Penn is an icon in the Spanish Electronic music scene with more than 25 years of successful career. As a producer he has made more than 300 productions and remixes, such as Kadoc ‘The Nightrain’, Deux ‘Sun Rising Up’, ‘Fight Again’, Chus & Penn ‘Baila’, ‘Will I (Discover Love), ‘What Is House’, or his hits as“Lovin´U“ or „Con Son” that was one of the 2016 Ibiza summer hits. He remixed artists as Sandy Rivera, Boy George, Simply Red, Jon Cutler, Masters At Work, Mariah Carey, Adeva, Candi Staton, among many others… all of them authentic house anthems. From Madrid he proudly manage his own label called ‘Urbana Recordings’, crowd acclaimed and undoubtedly one of the best House labels worldwide. As a DJ his sets are full of good & quality music obtaining an outstanding public response, that’s why he has been rewarded in the Deejaymags as the best house dj in the last 5 editions and best house dj at Vicious Music Awards 2011, 2012 and 2013. Recently had a number 1 on Beatport with his new track with ATFC “Hipcats” on Armada Music, and recently also number 1 with his new track “Nobody” released on Defeced. His recent tracks are supported by Claptone, Purple Disco Machine, Mark Knight, Low Steppa, Roger Sanchez, and many many more!